Holistic massage, deep tissue massage, aromatherapy massage, structural release massage. From gentle to digging in with deep tissue this is where you will find details on the best massage for you. With extensive training I can provide a massage of the speed and depth that works for you. Skills include light and gentle to soothe irritated nerves, very flowing and medium depth with a hypnotic quality (my favourite to receive) and increasing weight/depth for those who like a really deep massage. 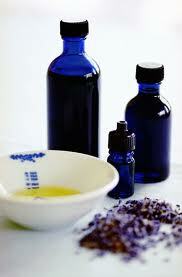 A massage can be received both clothed and unclothed with oils. 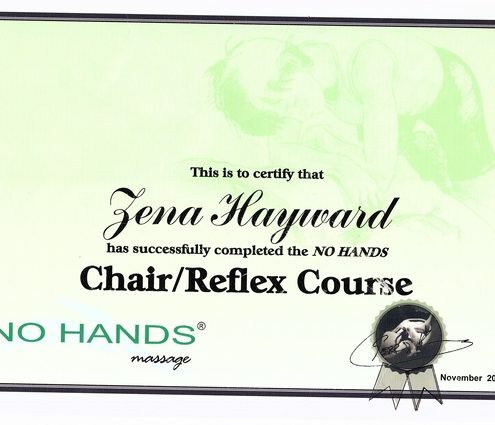 I am trained in clothed massage both using a standard treatment couch and a massage chair, deep tissue massage can be given clothed and on the couch (not massage chair). Ideal for stiff backs and sore shoulders where businesses want to look after their staff. Your massage. Is a soft and blissful style of advanced massage that can be any speed and depth you would like. Light and gentle/medium/deep here..... lighter there.... Treatments can be nurturing, transformational, structural releasing, deeply relaxing, flowing ........ This advanced form of massage is entirely adapted to your need on the day and you will always know that 'you have had a massage'. 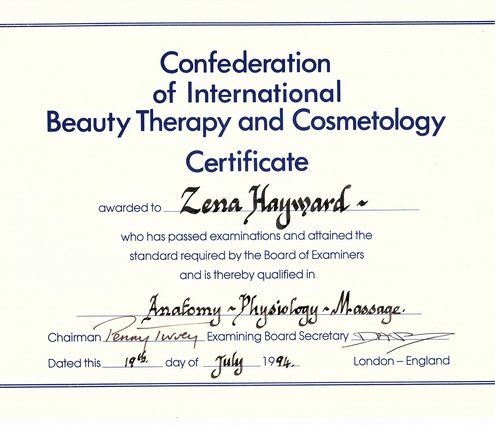 Massage qualifications include the basic Swedish Massage, Indian Head Massage, Sports/ Deep Tissue Massage, Shiatsu, Advanced 'Immersion Year' No Hands Massage (TM), Chair Massage, Abdominal Massage and Massage Mastery Training with No Hands (TM). 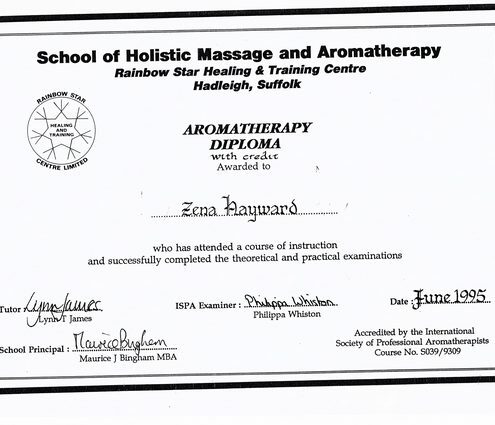 I am one of only 4 therapists with such extensive training in Norfolk. Click through my certificates at the bottom of this page. Click Different styles of massage to find out more information about massage styles from slow and gentle to fast and invigorating. If this is your first massage and you are not sure what to ask for I suggest a 'medium' speed and depth to begin and let me know if you would like a change in pace or depth of massage. 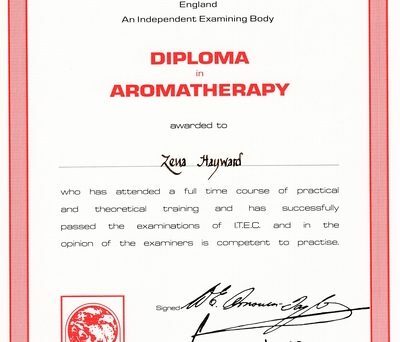 My Aromatherapy training is with both ITEC and ISPA (credit) certificates. This is massage with plant essential oils that boost the immune system, reduce tension and help you have a warm 'glow' all over. Aromatherapy massage is generally a medium depth or less with the aim of working the medicinal essential oils into the skin. Click to read my aromatherapy massage page. This is a deep and manipulative massage that opens out the joints, releases the spine and will have you walking away feeling a foot taller! Moving the joints, stretching, rolling and gently shaking all combine to a looser and more flexible you. This can be done at different depths and speeds to fit in with any speed or depth of massage that best suits you on the day. The massage is done in harmony with your need and ability to receive comfortably on the day. Structural release massage can be received fully clothed or with oils. Sports massage, also known as deep tissue massage is a much firmer massage to really dig into muscle knots and release tight muscles. This is done by using more bodyweight behind the pressure, combine this with elbows and the massage can become very intense. 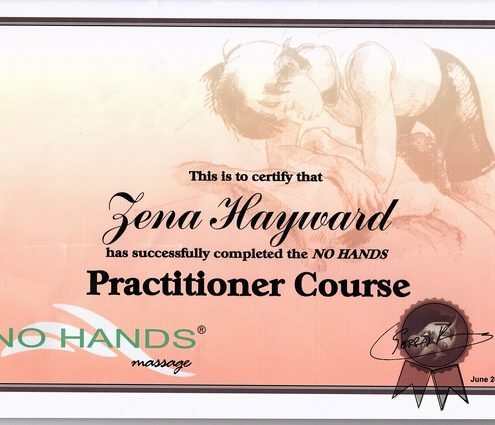 This style is used in shorter sections within the chosen massage speed and depth. Excellent to loosen up tight knots in the back or shoulders. For knots of lo I work with feedback from you. Tell me the depth that works for you (this can be tender), ideally only go with a depth that you can easily relax into - if you tense up the massage will be counter- productive.